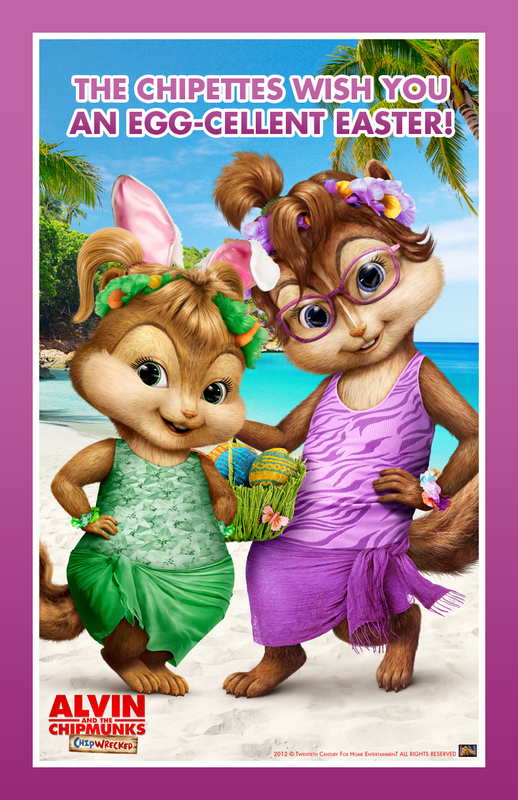 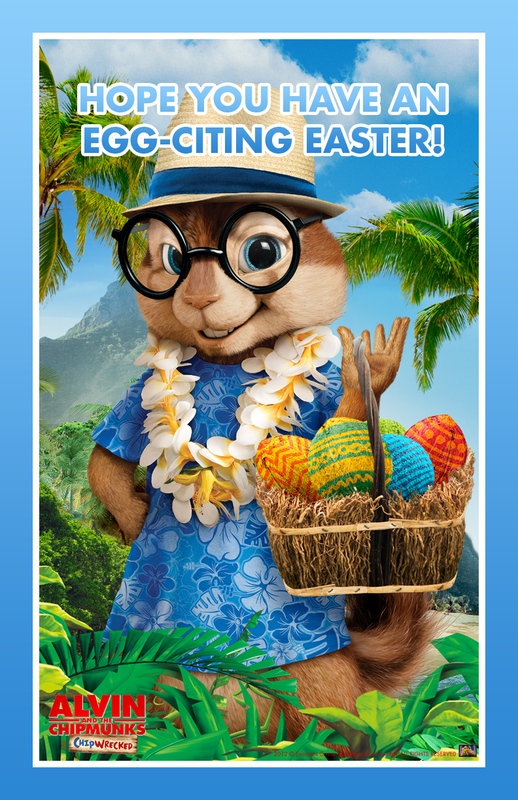 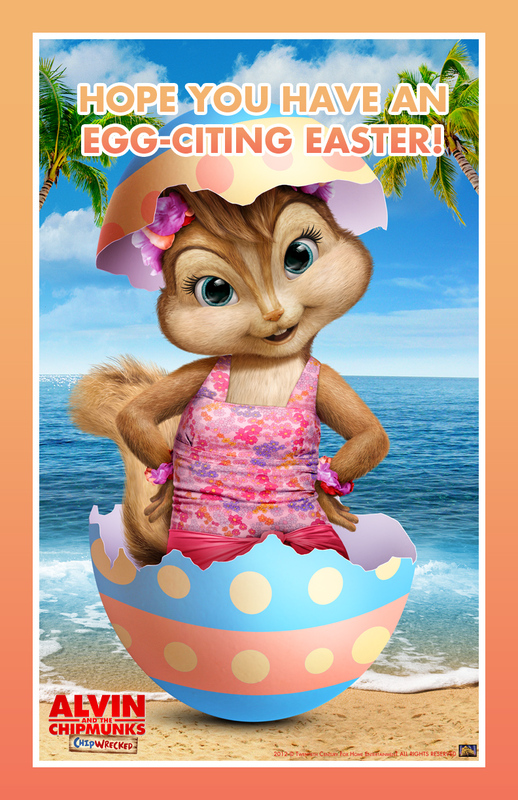 Easter is only a few days away, and what child wouldn't love some Easter eCards featuring Alvin and the Chipmunks: Chipwrecked! 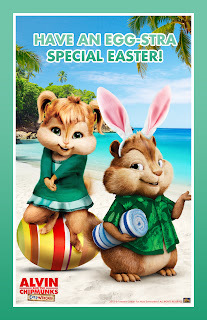 We watched Alvin and the Chipmunks: Chipwrecked over the weekend and it was super cute! 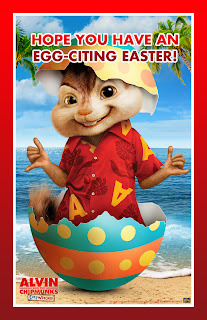 I've always loved the Chipmunks, and this movie was fun - loved the music! I'll be posting my review soon, including a few quotes from my eight year old daughter! Everyone’s favorite chipmunks Alvin, Simon and Theodore, and their female companions, The Chipettes, have the time of their lives during a family vacation they’ll never forget in ALVIN AND THE CHIPMUNKS: CHIPWRECKED, debuting on Blu-ray, DVD and digital download on March 27 from Twentieth Century Fox Home Entertainment.The hilarious live-action comedy will also be available as an exciting “Island Adventure” edition on Blu-ray and 2-Disc DVD, filled with tons of fun for the whole family to enjoy just in time for Easter.